Please note: item comes bagged, not in Playmobil blue boxes. 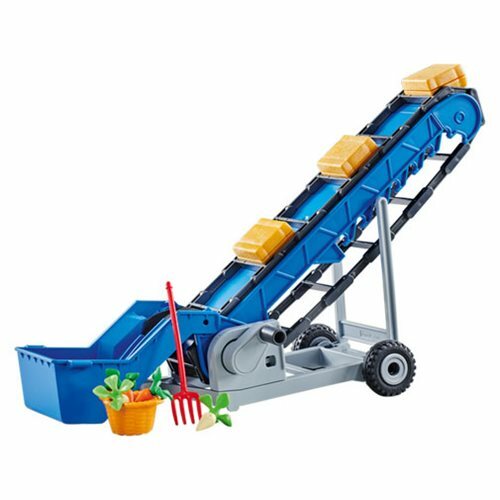 Gotta keep 'em movin' - with the Playmobil 6576 Mobile Conveyor! Load luggage, bales of hay, or just about anything with this fancy belt! Ages 4 and up. Includes vegetables and packages.